Here in Nevada County, we have many different micro climates. We also have many different styles and influences. With each client comes a different style and different need. Here we have the boss’s homestyle beauty. 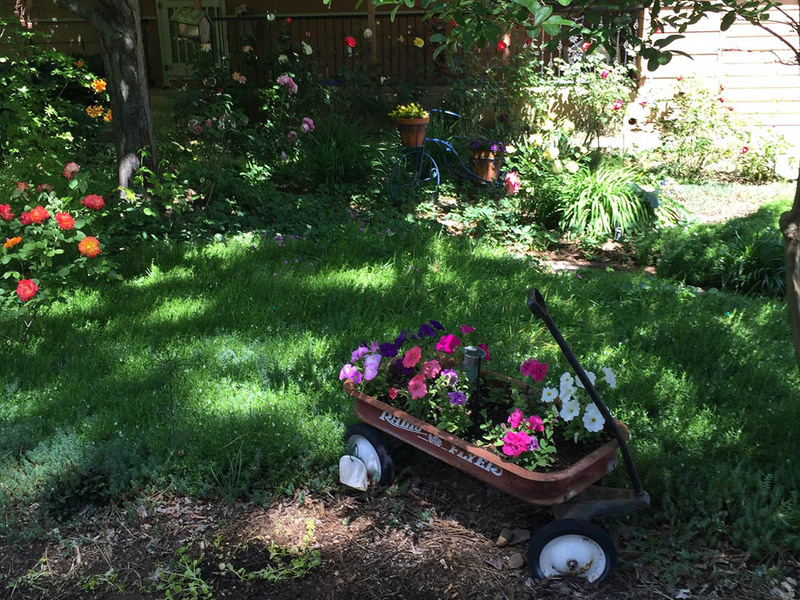 This Radio Flyer sits beautifully with some perineal flowers in spring bloom.